Dividend stocks can be the foundation of a great retirement portfolio. Not only do the payments put money in your pocket, which can help hedge against any dips in the stock market, they're usually a sign of a financially sound company. Dividends also give investors a painless opportunity to reinvest in a stock, thus compounding gains over time. However, not all income stocks live up to their full potential. They give only a small part of their cash potential back to shareholder. This might have different reasons like growth opportunities, debt payback and many more. Today I like to introduce a few dividend growth stocks with very low dividend payout ratios, low price multiples and small debt burden as well. 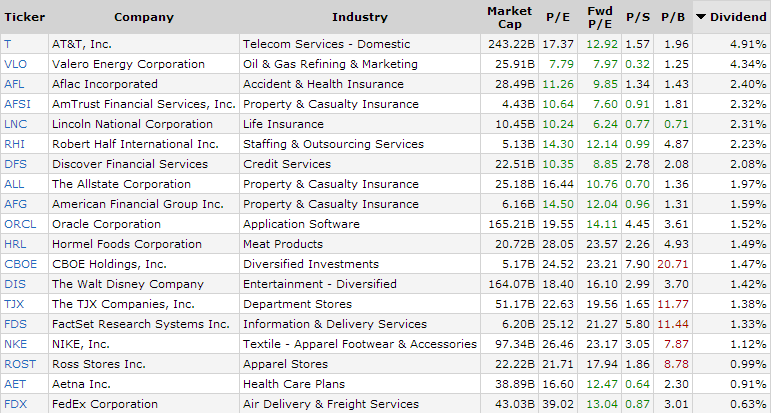 Each of the stock has a potential to grow earnings for the next years. 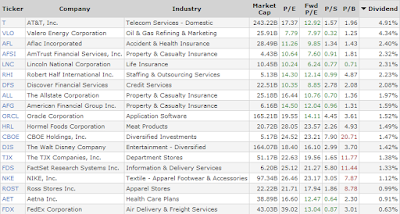 Attached you will find 19 of stocks with payout ratios currently below 30% that could potentially double their dividends. 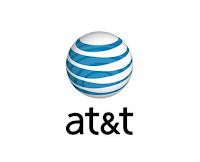 AT&T (NYSE:T) employs 280,870 people, generates revenue of $146,801.00 million and has a net income of $13,687.00 million. The current market capitalization stands at $241.55 billion. Market Valuation: Here are the price ratios of the company: The P/E ratio is 17.36, the P/S ratio is 1.65 and the P/B ratio is finally 1.97. The dividend yield amounts to 4.89%. Valero Energy (NYSE:VLO) employs 10,103 people, generates revenue of $87,804.00 million and has a net income of $4,101.00 million. The current market capitalization stands at $26.00 billion. Market Valuation: Here are the price ratios of the company: The P/E ratio is 7.79, the P/S ratio is 0.30 and the P/B ratio is finally 1.27. The dividend yield amounts to 4.35%. AFLAC (NYSE:AFL) employs 9,915 people, generates revenue of $21,025.00 million and has a net income of $2,533.00 million. The current market capitalization stands at $28.39 billion. AFLAC’s earnings before interest, taxes, depreciation and amortization (EBITDA) amounts to $5,420.00 million. The EBITDA margin is 25.78% (the operating margin is 19.74% and the net profit margin 12.05%). Financials: The total debt represents 4.20% of AFLAC assets and the total debt in relation to the equity amounts to 28.07%. Due to the financial situation, a return on equity of 14.05% was realized by AFLAC. 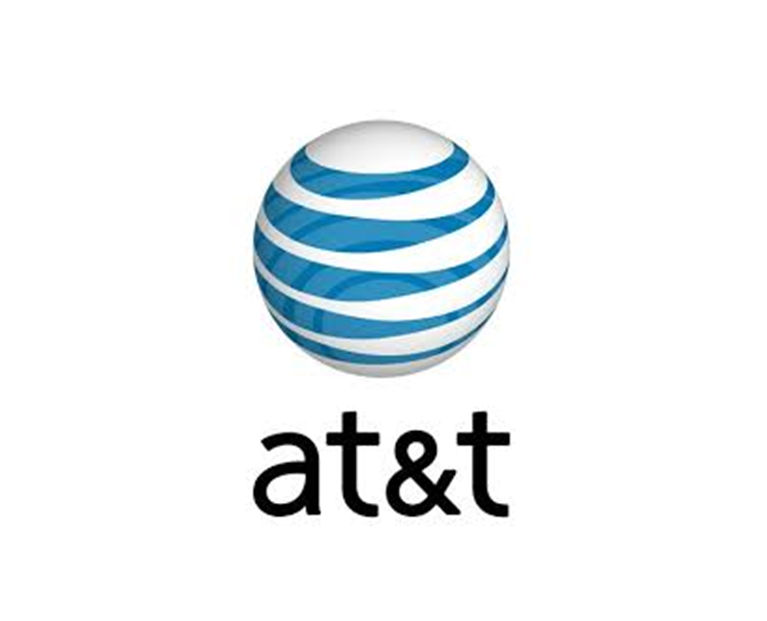 Twelve trailing months earnings per share reached a value of $6.08. Last fiscal year, AFLAC paid $1.58 in the form of dividends to shareholders. Market Valuation: Here are the price ratios of the company: The P/E ratio is 11.26, the P/S ratio is 1.36 and the P/B ratio is finally 1.69. The dividend yield amounts to 2.38%. Lincoln National (NYSE:LNC) employs 9,312 people, generates revenue of $13,682.00 million and has a net income of $1,154.00 million. The current market capitalization stands at $10.48 billion. Lincoln National’s earnings before interest, taxes, depreciation and amortization (EBITDA) amounts to $1,817.00 million. The EBITDA margin is 13.28% (the operating margin is 12.67% and the net profit margin 8.43%). Financials: The total debt represents 2.20% of Lincoln National assets and the total debt in relation to the equity amounts to 40.78%. Due to the financial situation, a return on equity of 7.86% was realized by Lincoln National. Twelve trailing months earnings per share reached a value of $4.23. Last fiscal year, Lincoln National paid $0.85 in the form of dividends to shareholders. Market Valuation: Here are the price ratios of the company: The P/E ratio is 10.24, the P/S ratio is 0.75 and the P/B ratio is finally 0.77. The dividend yield amounts to 2.32%. AmTrust Financial (NASDAQ:AFSI) employs 6,200 people, generates revenue of $4,683.50 million and has a net income of $485.14 million. The current market capitalization stands at $4.49 billion. AmTrust Financial’s earnings before interest, taxes, depreciation and amortization (EBITDA) amounts to $1,100.98 million. The EBITDA margin is 23.51% (the operating margin is 11.45% and the net profit margin 10.36%). Financials: The total debt represents 5.79% of AmTrust Financial assets and the total debt in relation to the equity amounts to 34.01%. Due to the financial situation, a return on equity of 22.66% was realized by AmTrust Financial. Twelve trailing months earnings per share reached a value of $2.44. Last fiscal year, AmTrust Financial paid $0.55 in the form of dividends to shareholders. Market Valuation: Here are the price ratios of the company: The P/E ratio is 10.63, the P/S ratio is 0.99 and the P/B ratio is finally 1.92. The dividend yield amounts to 2.26%.